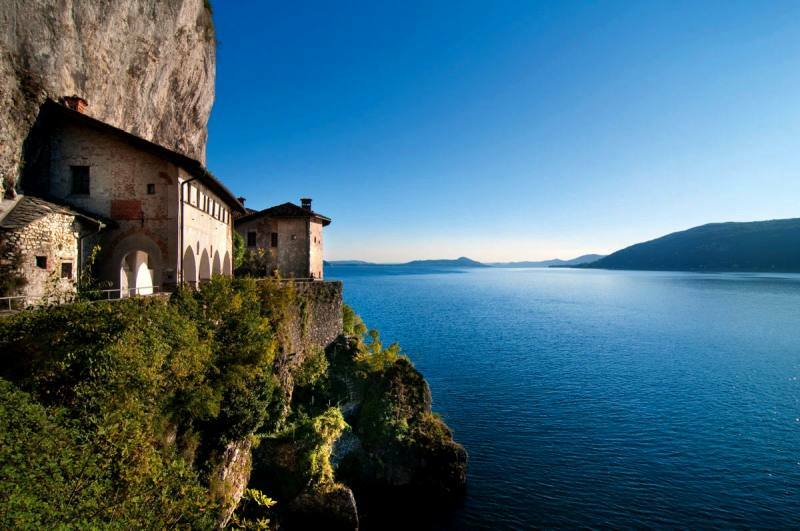 The The Santa Caterina del Sasso hermitage, or del Sasso Ballaro, is without a doubt one of the most charming and fascinating scenarios on Lake Maggiore. 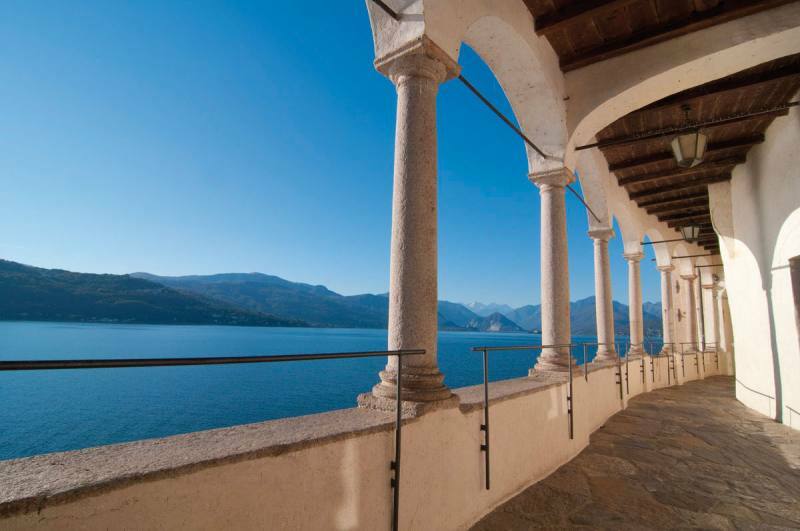 Indeed, it's the hermitage’s history more than its superb beauty that attracts many visitors and pilgrims each year. 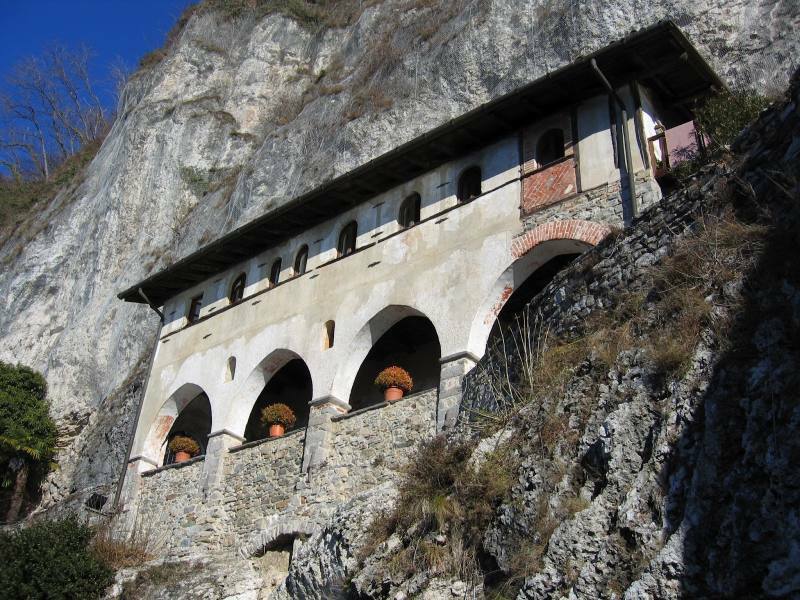 The Santa Caterina hermitage was founded by a rich merchant, a certain Alberto Besozzi. Involved in a shipwreck, Besozzi placed his trust in Saint Catherine of Alessandria and made a vow of penitence should he be saved. The merchant saved himself by grasping onto the rocks and as promised, he retreated there to become a hermit: the hermitage was founded in that place. In 1195, Alberto intervened to fight the plague that had struck the surrounding areas and following an angelical revelation, had a sacellum built similar to the one where the remains of Saint Catherine of Alessandra were kept on Mount Sinai. Upon his death in 1205, Alberto was buried beside the Chapel of Saint Catherine, and was later proclaimed Blessed Alberto Besozzi (whose remains still rest in the hermitage). The hermitage was also the location of another miraculous event: when boulders fell onto the vault where Alberto’s tomb was kept, destiny suspended them from the ground, and they slowly set down on the floor years later. This fact contributed to permanently associating this place of prayer with the miracle. It was inhabited by a community of Augustinian monks in the 1300’s. 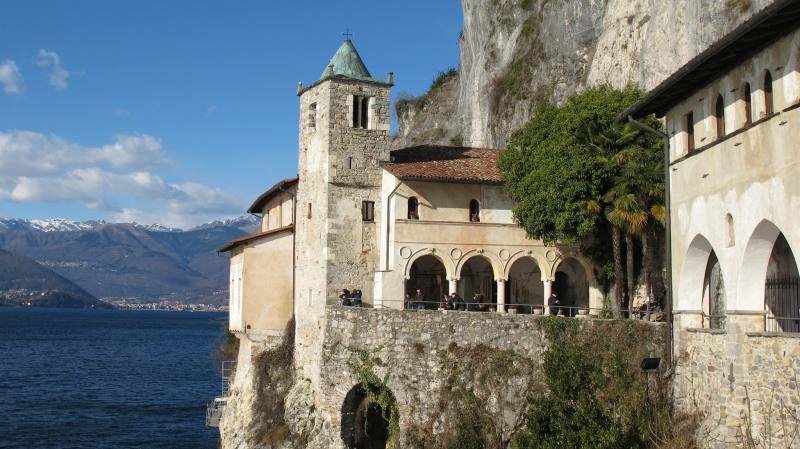 They were replaced by the Romiti Ambrosiani monks in 1379 and the Carmelite monks in 1649. 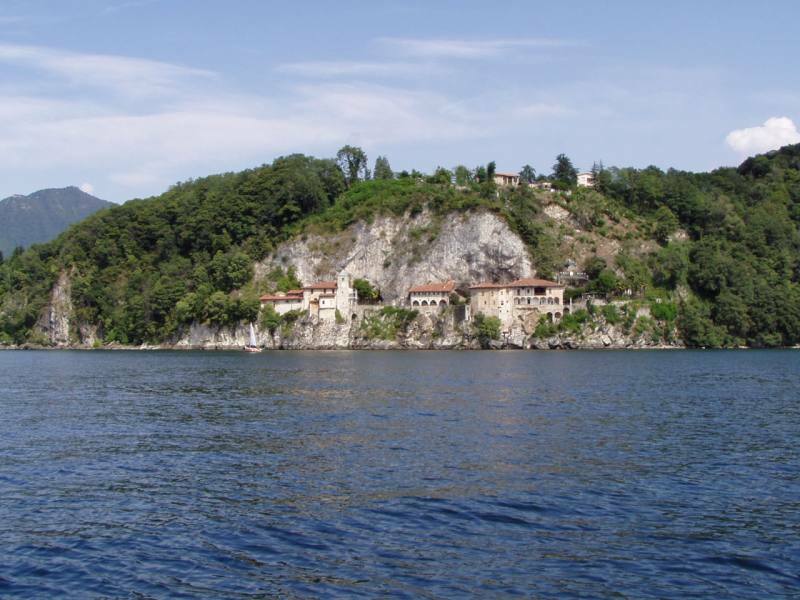 The Santa Caterina hermitage has been the property of the Province of Varese since 1970, which had renovations performed (completed in 1986). The building was then entrusted to the Benedictines. 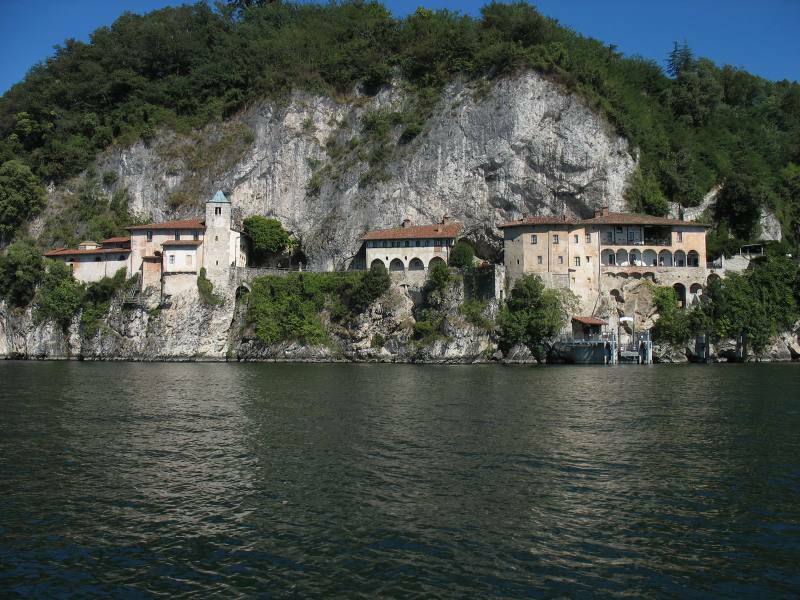 Clinging to a rocky ridge on Lake Maggiore, the Santa Caterina hermitage directly overlooks the lake. 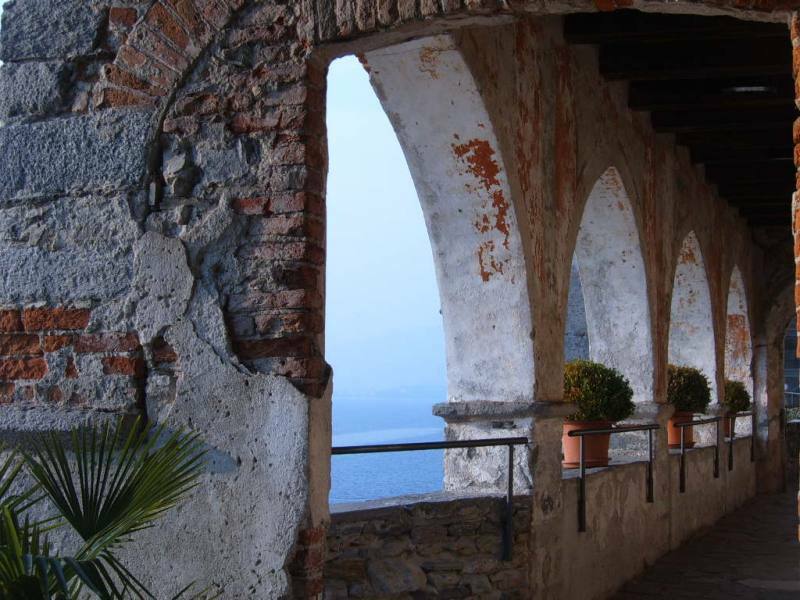 It can only be reached on foot, by descending a steep flight of steps from the above built-up area, or from the lake. A lift dug out from the rock was inaugurated in 2010 to facilitate access from the car park above. The true monastic complex dates back to the 1300's, although its more recent paintings are from the 1800’s. 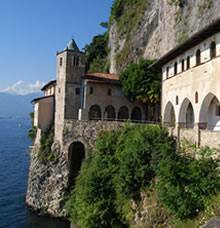 The hermitage has three buildings: the convent to the south, the little convent and the church. A proud bell tower from the 14th century is to the left of the church, leaning out over the lake. Admission is free, both for pilgrims and tourists. The hermitage has a rich calendar of liturgical celebrations and events throughout the entire year. 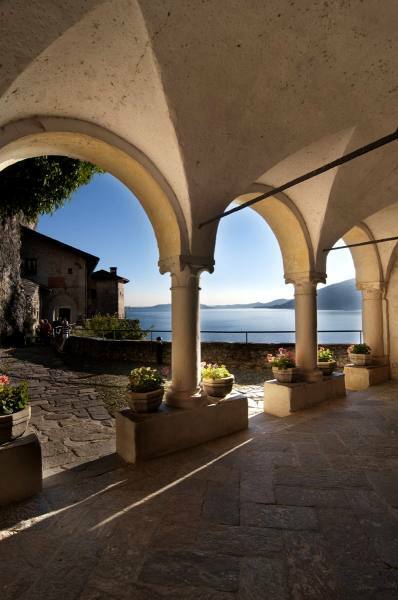 The concerts have become very popular at the end of July and connected with Stresa’s Settimane Musicali: J.S. Bach’s Cello Suites. 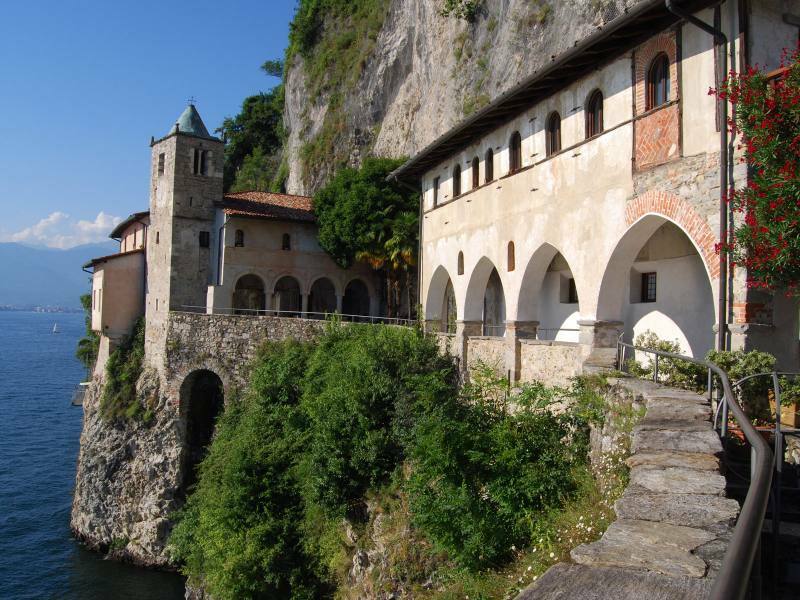 If you would like to visit the Santa Caterina hermitage and also discover the other beauties in the area, take a look at our itineraries!